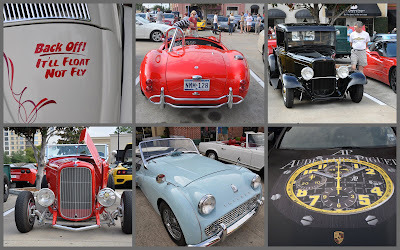 The Bunny Bungalow: Houston Coffee and Cars: Perfection! Carolyn Farb with her vintage Aston-Martin at the September rally of Houston Coffee and Cars. Early this morning, Tall Husband and I had coffee and croissants in bed, then threw on our jeans and washed the little red Porsche. 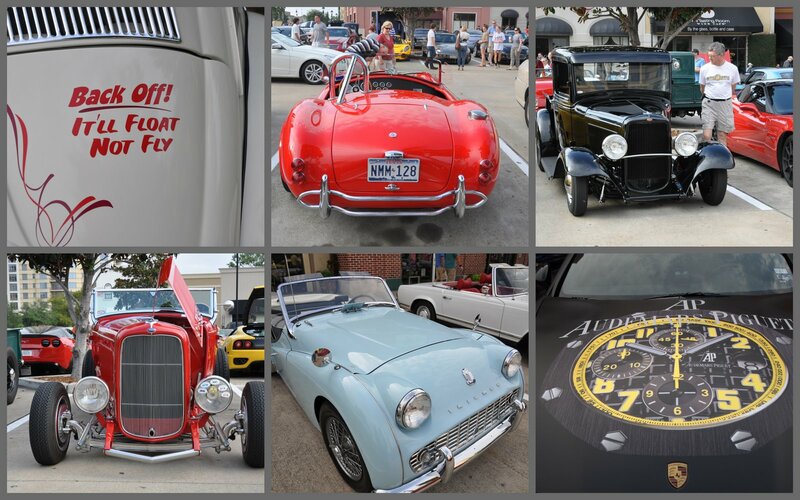 We were off to the September rally of the Houston Coffee and Cars at Uptown Park. What a perfect event...fantastic wheels and beautiful people! I am so going to buy a vintage car soon. To be literally transported to another time- Great post!! I already said I want an old classic car now I really want one after seeing these pictures. Please reply back as I'm planning to create my very own blog and would love to know where you got this from or exactly what the theme is called. Thank you!